When it’s this late in the year and you hear a record that stands out amongst all the others, it’s a pleasant surprise. Such is the case with Elvyn’s Valley of the Kilowatt Hour. While you’ll read the occasional reference to The Replacements when other mentions influences, I’m hearing something else. With its layered vocals, 12 strings and hooks a-plenty, their sound is what I’d imagine Old 97s would sound like if Jeff Murphy of Shoes were in the band. The opening cut, “Ellie” is incredibly catchy and is probably my favorite track at the moment and easily one of the catchiest this year. With its Shoes-like harmonies and bounce (for lack of a better word), its certain to delight true powerpop fans. In fact, the first four tracks are all top notch pop, with “Landslide Cities” being another stand-out track. Things get a little bluesy with “Last Laugh”, a nice change up from the prior songs. The middle tracks are very reminiscent of Rhett Miller and Old 97’s, starting with the engaging “Turning Me Down”. “AM” is not only lyrically brilliant but, dare I say it, radio friendly. Nothing earth-shattering about “True Love Can’t Hide” – it’s simply good pop, pleasing to hear and a cut above most all else you’ll hear this year. “Robins Song” proves that sometimes less really is more. Simple and beautiful. 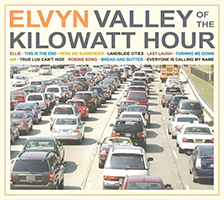 Elvyn’s Valley of the Kilowatt Hour is a keeper – probably a top 10 for 2015. I suggest you go out and get this one. 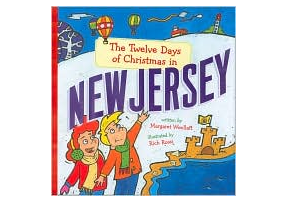 It’s available here.